Hi! My name is Aris Rossi, and I’m the teacher blogger behind Sailing into Second! 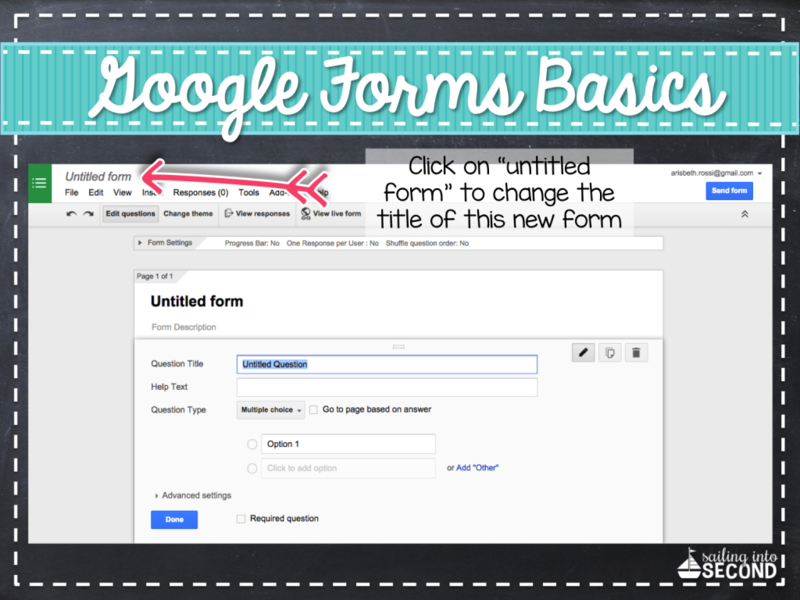 Today, I’ll be sharing a tutorial on Google Forms! 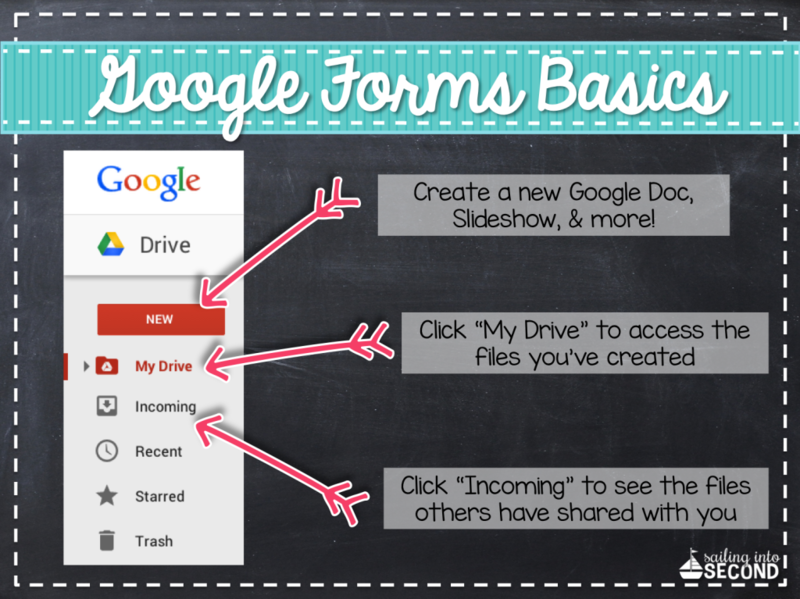 If you’re still learning how to use Google Drive and all it’s Googley goodness, then check out this getting started post HERE. 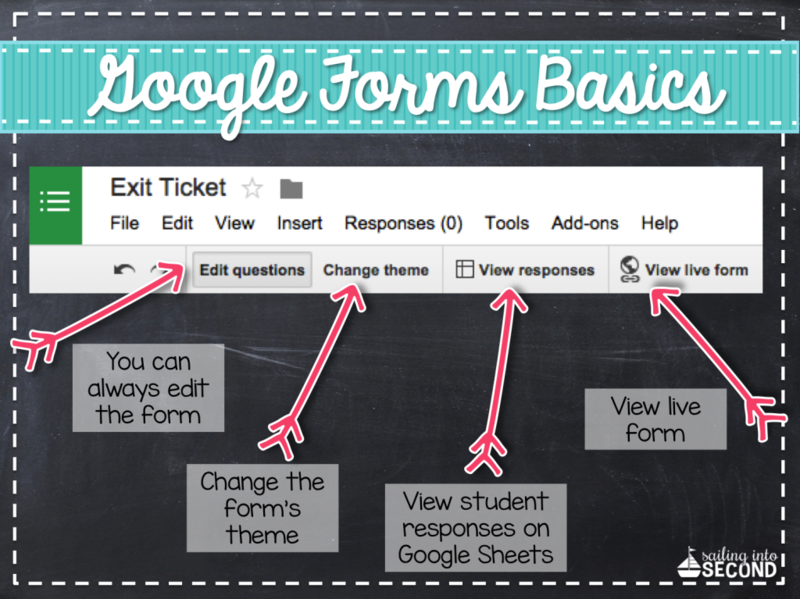 Let’s dig into what a Google Form is and how you can use Google Forms in your classroom. Forms are a quick way to create an online survey. The responses are then collected in an online spreadsheet (Google Sheets). 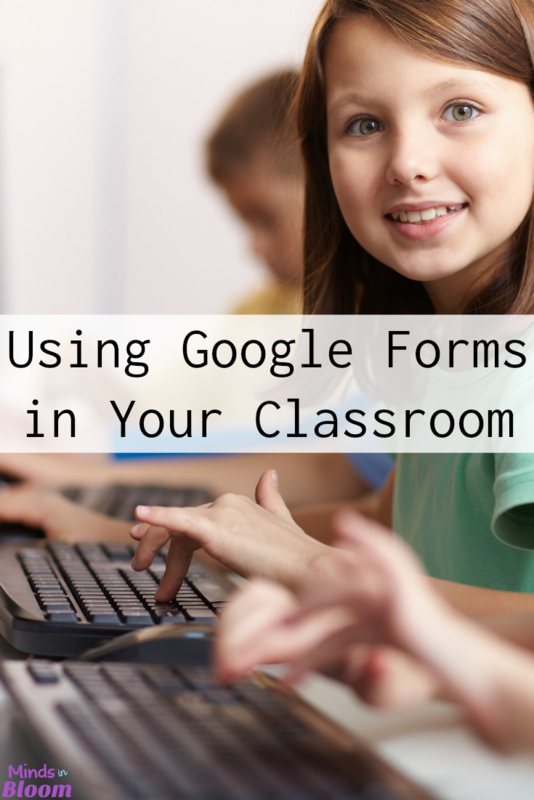 Teachers can use Forms in a variety of ways. They can use them to assess student knowledge, to give quick quizzes, to create exit tickets, and even to receive feedback from students and parents! 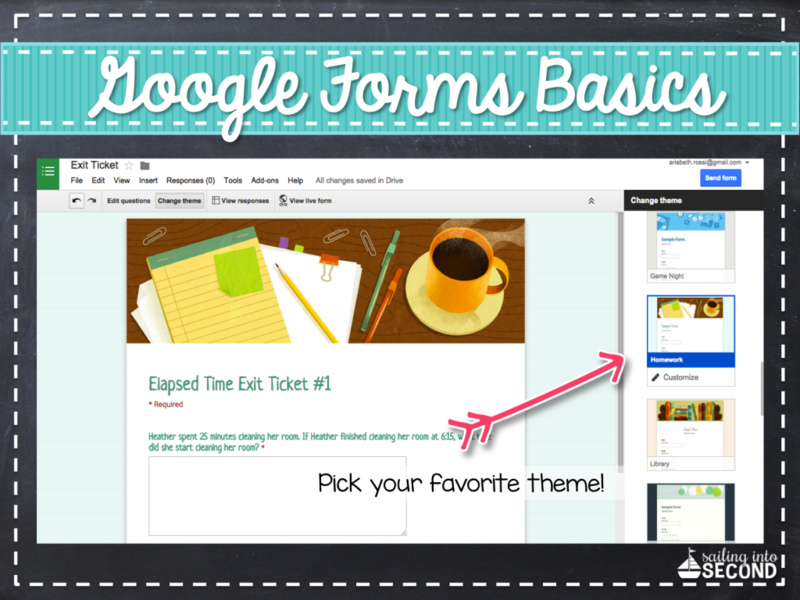 Ready to get started and create your own Google Form? 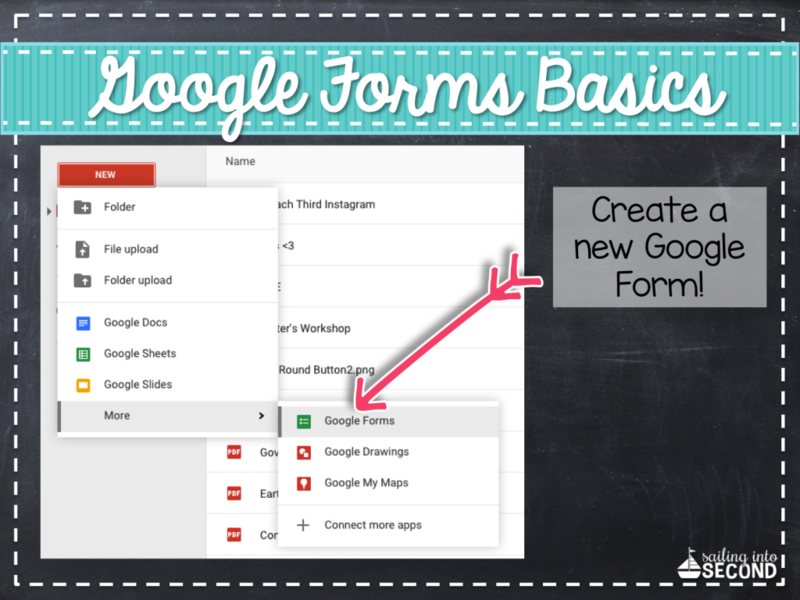 Let’s start with the basics like, “How do I access a Google Form?” First, you have to create a Google account HERE. Techy tip: Downloading the Chrome web browser would be great, since there are tons of extensions and features that work hand-in-hand with Google Drive. Once you log on, you’ll see the Drive home page that looks like the image below. It will allow you to pick from a variety of options, like creating a new Google Form, accessing your files stored in your Drive, or even viewing files that have been shared with you! 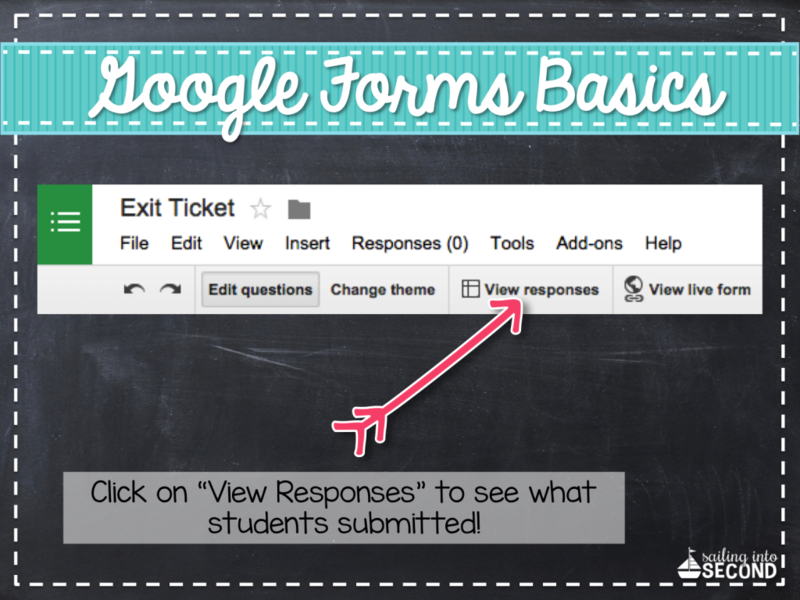 Click on “NEW” and then “More” to create a Google Form! The next step is to figure out what kind of questions you want to use on it. Are you looking to create a quick exit ticket for your kids? Or are you wanting to create a mini-assessment to see how well your students learned a new concept? Let’s start with creating a Form for a sample exit ticket. Let’s say you taught a lesson on elapsed time and wanted to see if your students really understood the concept. First, you’ll have to type in your question in the “Question Title” box. Then, you have to pick what type of question type you’d like to create (i.e. multiple choice, open-ended answer). I picked an open-ended response. Before you send out your Form, you can also make last-minute changes. You can go back and edit your questions, change the theme, and much more. Now you’re ready to share the form with your students. You can share the link or share via email. 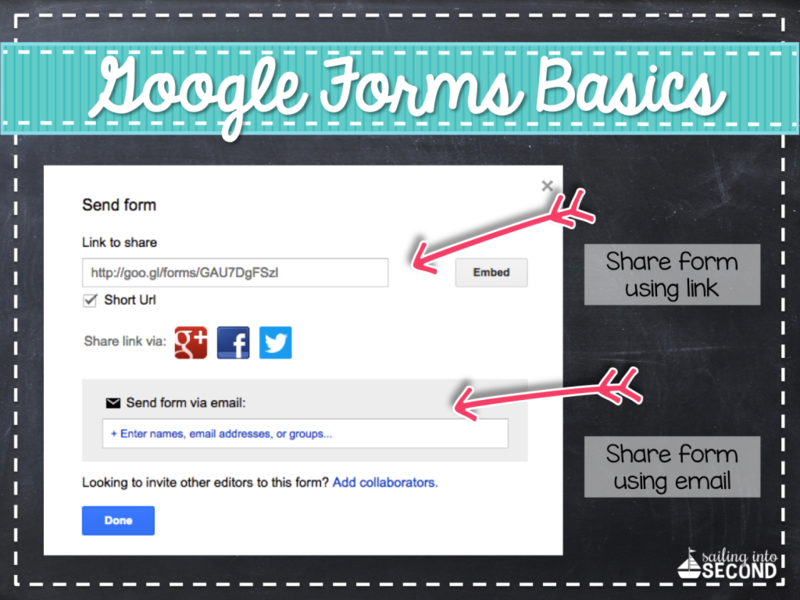 Unfortunately, there are no “share” buttons on Forms…you have to send a link or an email. By clicking “Shorten Url”, you’ll make the link address shorter and more manageable for kids. And that’s it, my friends! 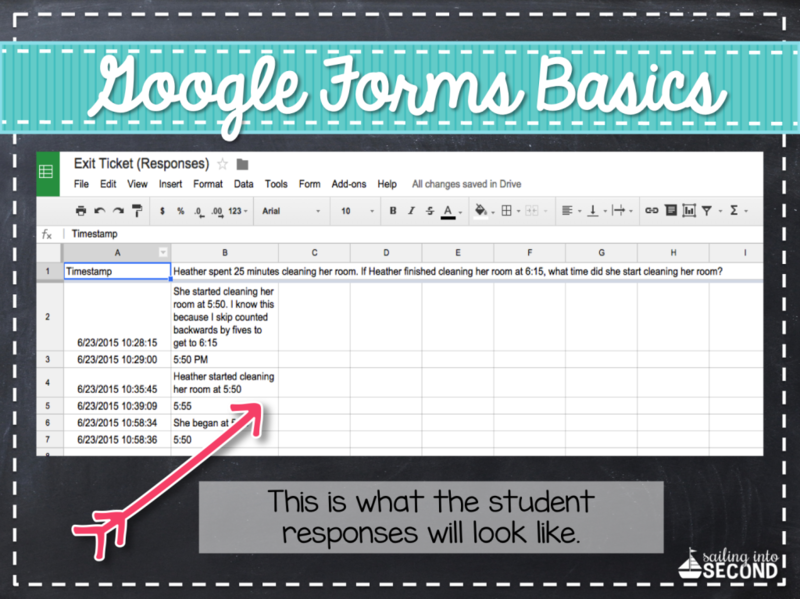 You can play around with Forms to create more Forms for various classroom uses. I like to send out questionnaires at Back to School Night for parents to share their emails/phone numbers/etc. and make it easy for me to have them all in one place without having to transfer their data from a paper sign up sheet. I’m trying really hard to have a paperless classroom. 🙂 You can also use Google Forms to give quizzes and have all their data in one spreadsheet for easy grading. The classroom uses are endless! I’ll be back soon with another tutorial on how I use Google Sheets to create rubrics AND grade writing assignments. If you are new to my Google tutorials or want to learn all about Google Drive or Google Classroom, just click on the images below to read those posts. 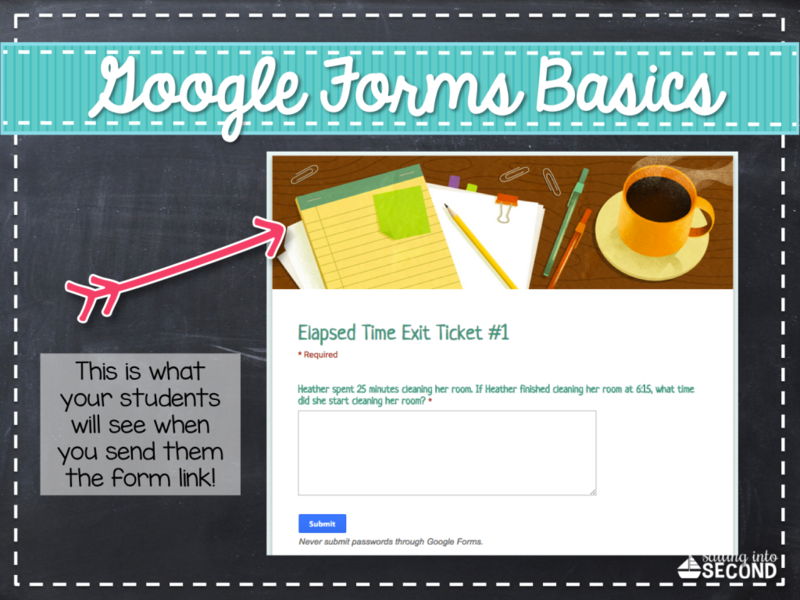 I hope this tech tutorial will help you utilize Forms in your classroom and help drive your instruction. I’d love to connect with you! Use the links ahead to follow my blog and TpT store for more ideas! What a great tutorial! Thanks for sharing it. I've been thinking about doing some Google forms for a while but didn't want to take the time to figure out how to use them. 😉 Now I don't have to! Don't forget to use the Flubaroo add-on in Google Chrome to sort, analyze, and grade student answers. 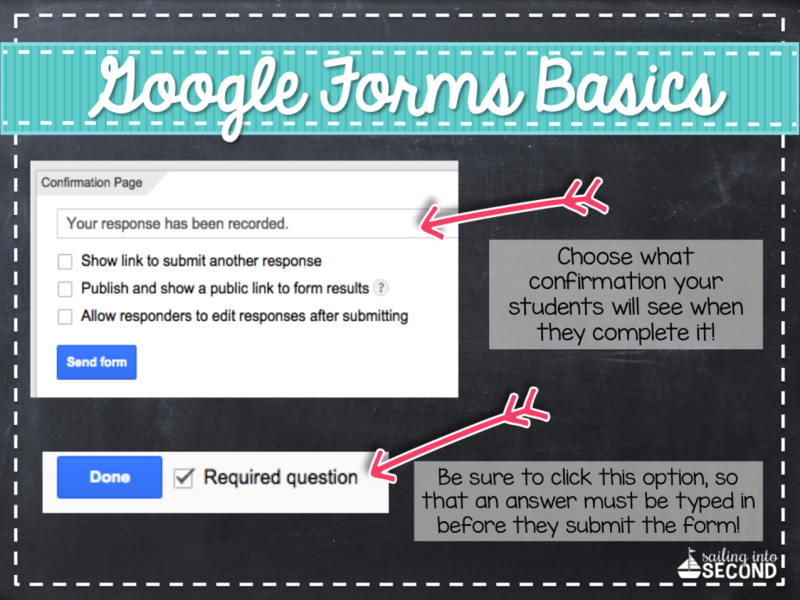 Google Forms can be overwhelming, but Flubaroo is VERY helpful! Thank you! This is so helpful I'll be bookmarking it for later! This is amazing. Thank you so much for sharing this information. Would you recommend using Google classroom as a way to communicate with families also…for example sending out classroom reminders, like Remind? I think having this app could replace Remind! What are your thoughts? 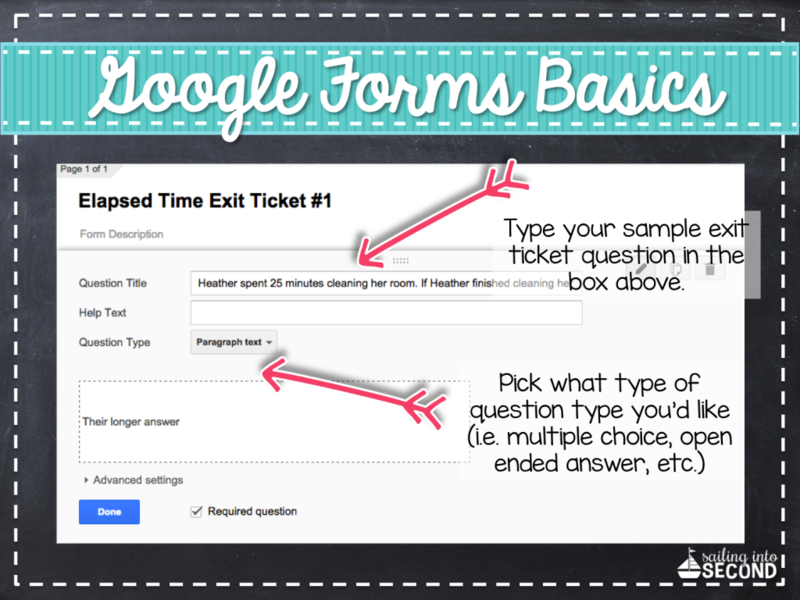 Using Google Forms is really useful, I've been using it for a couple years and cannot imagine myself without it now. My students appreciate the opportunity to use Google Forms in my classroom and they enjoy doing home tasks and sharing it through the web. Sometimes students use custom writing essays to do their paperwork but I can easily recognize if students have done the task by themselves or not.